This month is very dynamic but in the same time it’s better to postpone major decisions and changes until after December 23, 2017. Sun and Venus in Sagittarius give extra optimism, positive relationships. The most significant event of December 2017 is Saturn’s entry in Capricorn on 20, where it will stay until 2020. RETROGRADE PLANETS this month are MERCURY and URANUS. On December 21st, the SUN ingress in CAPRICORN: Happy Birthday for all natives! It is winter solstice in the Northern Hemisphere, where it is the shortest day of the year. It is time to test your discernment and calls you into a deeper level of truth and wisdom. Neptune in Pisces closely squares the Gemini Moon and Sagittarius Sun, potentially stirring up confusion and distraction. Are you following your own truth, or are you overly influenced by the media’s (or another person’s) version of truth? The solution for this is to quiet your minds and tune into the subtler levels of reality, especially your feelings. And the Sagittarius Sun can invalidate feelings that don’t align with certain belief systems or moral judgments. This is an optimal Full Moon for leaning into divinatory practices (Tarot cards, I Ching or astrology) and for paying attention to dream messages. Mercury is retrograde, ruler of Gemini invites you to slow down and turn attention inward. Retrograde Mercury’s involvement in this square brings awareness to wounds of perception — the beliefs that keep you stuck in old pain and now need to be rewritten. The Full Moon conjoins the potent fixed star Aldebaran (at 9° Gemini), the brightest star in the constellation Taurus. Located in the eye of the Bull, Aldebaran is known as the Eye of Revelation or the Star of Illumination; it is associated with the third eye — our inner, intuitive sight. The activation of Aldebaran points to the higher potential of this Full Moon. If you can quiet your minds and cut through illusion and distraction, you can access your divine mind and open to a new level of wisdom and illumination. NEW MOON in SAGITTARIUS on December 18th at 01:30: The Sagittarius New Moon invites you to plant a seed for an expansive and empowering new vision, and to renew your trust and optimism. In the Northern Hemisphere, the Sagittarius season is when the Sun’s light is at its weakest, leading into the winter solstice (December 21), the longest night of the year. Retrograde Mercury recommends turning attention inward and sitting quietly in meditation to access the higher frequencies of this lunation and deepen into cosmic wisdom. Venus is also in Sagittarius, conjunct the New Moon and heading toward the GC, inspiring a reimagining of the feminine in the collective consciousness. During Saturn’s tour through Sagittarius, since December 2014, you’ve been forging a new vision for the future, clarifying our truth, and clearing out beliefs that keep you stuck in self-limiting realities. Saturn in earthy Capricorn will be a time for crystallizing your Sagittarian visions into form. This New Moon presents a last-chance opportunity to surrender the beliefs that block your expansion and to identify and empower the visions you want to bring into physical reality. Mercury in direct motion between 24th of December and 11th of January 2018. Until 1st of December VENUS is transiting SCORPIO: You are attracted by someone who can share your life at the deepest possible level. This is an intense need, and indeed intensity could be a key feature in your relationships. Sexual intensity is also vital ingredient in your relationship. Between 1st and 25th December VENUS is transiting SAGGITARIUS: Venus in Sagittarius symbolizes the wild feminine, the primal goddess and asks you to make your bodies’ needs and desires a priority and to expand into greater sensuality and pleasure. Until 9th of December MARS is transiting LIBRA: You have a strong desire for diplomacy and justice, and a strong creative urge. You may become indecisive when opposed. Be aware of passive – aggressive attitude when somebody open sensitive subjects for dissection. This attitude is not helping you to solve the problems. Between 9th December and 26th January is transiting SCORPIO: You are dramatic, and may have strong sexual urges. You may make a vengeful opponent. On 7th of January Mars Conjunct Jupiter and this is a beneficial time for anything that requires confidence and energy. You are enterprising. On a crusade. SATURN will occupy the sign of CAPRICORN from December 19, 2017, to March 21, 2020; and then finishes up its transit from July 1 to December 17, 2020: Saturn is dignified and functioning well. This is a time for turning a critical eye to those of Your career choices that don’t accurately reflect Your authentic selves. Capricorn and Saturn want respect and Saturn in Capricorn will work hard to earn it. Conservation is a big theme now. Taking the easy road is not favored during this transit. Rewards come from putting in the effort. You might also be striving for more authority in an area of your lives now. Saturn demands simplicity, definition, realism, and truth and it tests your weak areas that need strengthening. ASCENDANT OR SUN IN ARIES: In your attention is coming the family financial situation, maybe an older inheritance or a mortgage. Avoid giving and taking money and take care of expenses and investments! If you made a good work in the past you should have chance to receive bonuses. Also, you will receive some news from abroad and it is quite possible to travel abroad with your loved one. Pay attention to your dreams, some information is coming during sleeping. Write down what you remember starting with 20th of December. You try to approach your career with caution. After few setbacks you will become hard-working and respectable in your chosen profession. Pay attention to your priorities, relax, and take good care of yourself. ASCENDANT OR SUN IN TAURUS: In your personal relationships you have great expectations, so you maybe become too passionate or too energic for your partner. Take it easy! Postpone any important decision this month. You are interested in money and new collaborations or projects in groups. Maybe you are thinking to start a business or an investment, receive an inheritance, a dowry, sponsorship, or a gift, must deal with institutions like banks, insurance, IRS, and so on, share money or assets with someone, or win due to a partnership or someone’s benevolence. Avoid conflicts and excesses because can affect your health! ASCENDANT OR SUN IN GEMINI: Relationships become most important this month, and this can lead to analyzing, and making decisions regarding responsibilities and potential issues of your better half. On top of that, they bring out the major role that benevolence, trust, and communication have in the happiness of your couple. Jupiter and Mars help your efficiency is at its best, seeking the best solutions and useful information. Communicating with others needs to be very clear. Regarding money, after December 20, 2017 Saturn helps you to enter in a new cycle that will last for about three years. ASCENDANT OR SUN IN CANCER: You and your loved one may get more responsibilities, or you will work together in a common project. If you are single it is possible to meet a new partner in your professional area. You work hard this month and you feel that you are not able to cope, but do not give up because there are also satisfactions, later. ASCENDANT OR SUN IN LEO: Intense feelings, a lot of creativity, power of expression and ability to promote yourself and your work, new experiences, but also confusion, all together occur on this month. You are deal with home activities and money are coming with help of your imagination. Do not spend all your money on presents. Avoid taking a loan or to give money to others, because you will not see them again. Make some savings, instead! ASCENDANT OR SUN IN VIRGO: You are in a loving and relaxing mood, and you feel much better in your home, with your family. In the same time the work and duty are calling you to put your effort, for better results cooperation is the key of results. For your health it is important to relax more, plan of action for next year and approach things methodically. Do not rush because the results will not be good. Pay attention while driving! ASCENDANT OR SUN IN LIBRA: Your love life may become more intense and you may travel to see your sweetheart. Also, there could be a profitable opportunity for your bank account. For this you may communicate, write, talk more. Be clear and simple in your communication and check from at least three sources the information that you are receiving from other people. ASCENDANT OR SUN IN SCORPIO: You have huge energy and charisma and you are very determined to conquest. It is possible that your life partner influences your decisions related to money. Success depends on evaluating correctly the rapport between goals and resources. Try to remain realistic and practical in your decisions. Be aware of excesses and extreme physical actions that can have a negative impact on your body. Don’t spend more than you have, and don’t go into debt! ASCENDANT OR SUN IN SAGITTARIUS: This month try to understand the meaning of everything that happens and see the full picture. Analysis and catch potential errors that need to be corrected or details that need to be put in order, so you can reach your goals. Postpone starting of any new collaboration. Try to relax more this month, even you have much work to do. ASCENDANT OR SUN IN CAPRICORN: Be aware of secret love affairs but also you feel need to be far away from crowds. You may be active in group activities: associations, foundations, conferences, and public events, also you may be a project manager for a while. This month you are quite sensitive with your respiratory ways, nervous system, motion of shoulders, arms, and hands. Treat your chronic diseases. ASCENDANT OR SUN IN AQUARIUS: You are in a happy mood, even you are not sure what you want to do soon. On January everything will be clear, and you will expand at the new level. You need autonomy and independence in your profession. Your profession and public life are your vehicles to find or express the meaning of life. You may have an ever-expanding need for public recognition. You attract many friends and enjoy socializing with groups of people, but you will meet also old friends. You may take on a peace-making role within groups. After December 20, 2017 a serious examination of hidden realms may help you to conquer your fears. ASCENDANT OR SUN IN PISCES: You might be involved with someone in a good social position, or have an affair with somebody from your professional environment. You are in the spotlight, admired and respected due to your professional results. 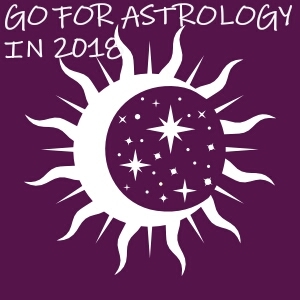 After Mercury will comeback to its direct motion you’ll have a much clearer picture of your professional goals and strategies. Be happy because for you, the new year is much better then 2017! Good luck!